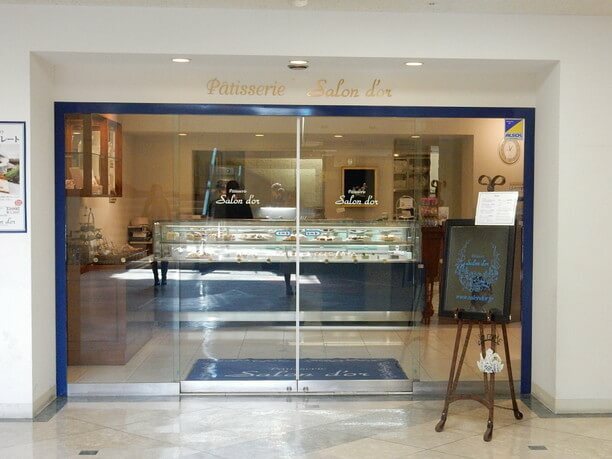 The showcase of the Patisserie Salon Dor, is filled with gorgeous and high-quality pastries. 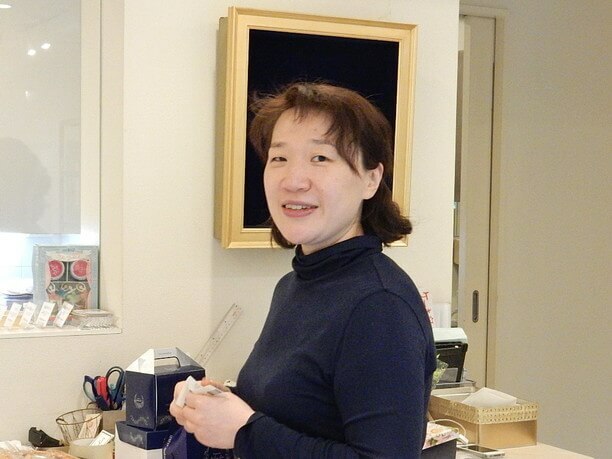 Mika Kim (金美華), the owner, is a patisserie who studied sweet making in France, Tokyo, and Kobe. She uses advanced techniques to make delicious handmade sweets one by one. You can also enjoy their cake with fine tea in the shop’s cafe. 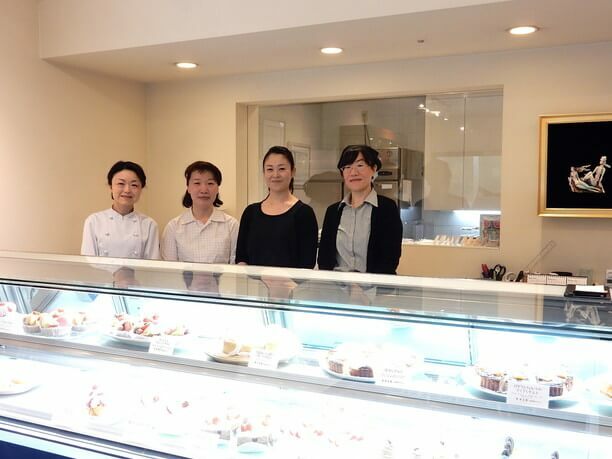 You will enjoy coming to this shop and enjoying their delicious sweets and warm smiles! 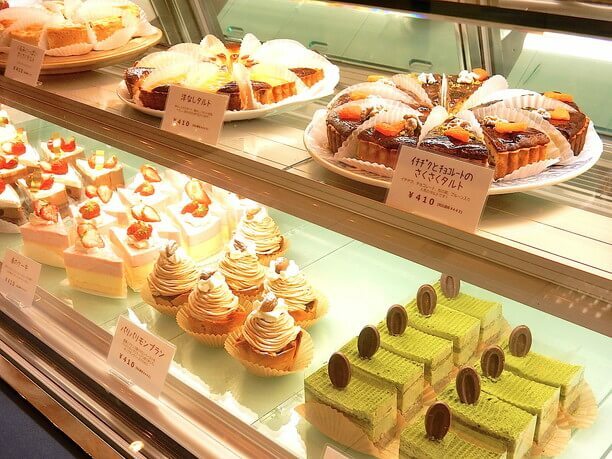 This Patisserie is filled with French confectionery! 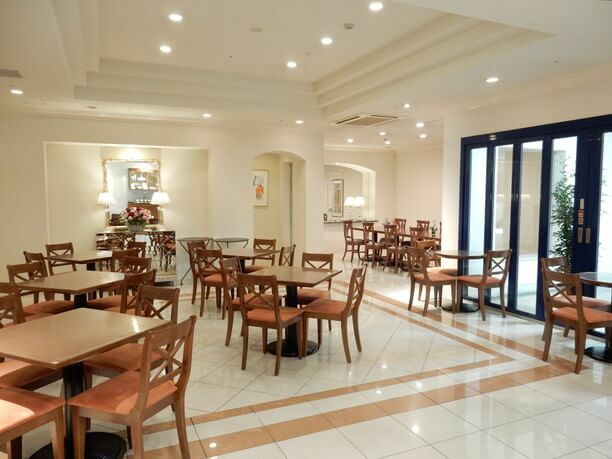 The Patisserie Salon dor is located in a building near Asahikawa station. Inside there are bright white walls, reminiscent of the South of France. There are plenty of shiny cakes lined up in the display cases offering a slightly sweet scent. Kim Miwa, who is the owner, studied French confectionery at the university in her third year. She then decided to study the authentic French taste in the classroom of Le Cordon · Blue which opened that year. “I got a culture shock with such delicious sweets!” When I look back on those days I remember that I was fascinated by the world of deep French sweets, and after graduation I went to Paris.” After she returned home she worked hard to further improve her skills and steadily walked the way of making sweets. Once back to Asahikawa, for the next 15 years she offered sweet making classes to the locals. In 2007 she set up her own shop in order to share the taste of sweets with more people. Enjoy sweets made by “keeping with the basics,” and the sharing of delicious happiness! Nearly 30 kinds of sweets line the display cases daily. There are such things as tarts with seasonal fruit, standard sweets such as puffy cream and Mont Blanc, baked snacks with nuts and more! Even if you are just looking at these delicious treats you are sure to smile! “Faithful to the basics” is the motto of Patisserie Salon Dor. Rather than gathering special materials, they make their delicious treats by sparing no effort or time, to make the best sweets possible! When you bite into one, you will surely experience the happy sweetness that has made this shop so popular! Enjoy a scented tea and confectionery treat! Inside the cafe space there are wooden tables lined up, creating a warm atmosphere. Here, you can enjoy both the baked goods and the candy lined up at the storefront. Along with the delicious sweets you can choose from an assortment of high-quality drinks. Salon Dor is particular about its speciality teas. They have tea leaves from H & H (Haas & Haas) in Australia and Teodolu in France. These fine, carefully selected teas give off a pleasant aroma as you pour your selection into a cup. You are able to choose from 3 to 4 types according to your preference and mood. 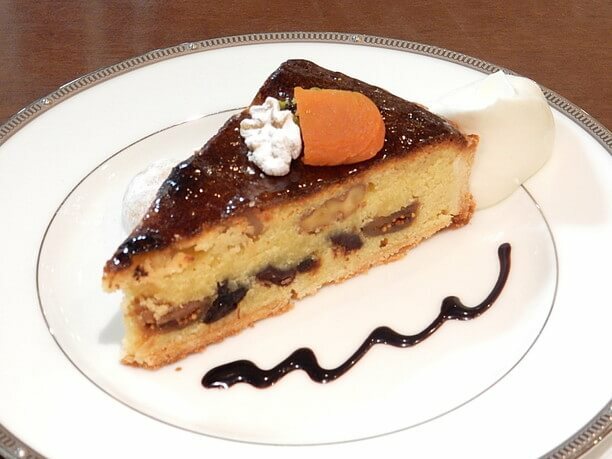 The cake pictured above is a seasonal “Spring cake (single item 410 yen).” It is only offered from February to June. The sour taste of passion fruit and sweetness of strawberries matches exquisitely, and it has a refreshing taste reminiscent of spring. 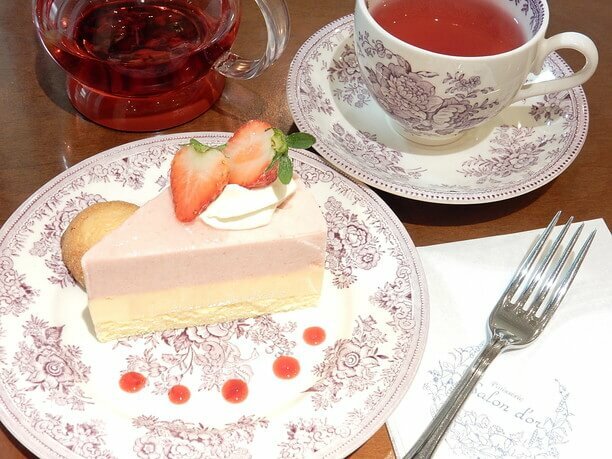 You can purchase a confectionery item and a drink such as tea, in the cake set for 1,000 yen. With lots of love for Asahikawa, they are showering the city with sweets! Kim says with a full smile, “I love the city of Asahikawa, I have a feeling of having that the energy of the Asahikawa station somehow helps keep the store alive! Since around 2009 she has been making apple pies made from local apples that are grown in the autumn. A good quality Asahikawa apple has well-balanced acidity and sweetness. These apple pies often serve a great role in PR as she sometimes offers her pies to locals who have not yet visited her shop! 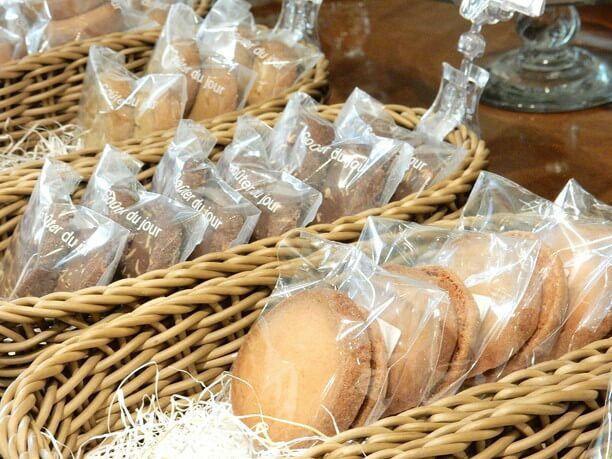 You can enjoy Salon Dor’s delicious sweets offered in their attractive yet comfortable shop with everyday clothing. It is a great place to relax while enjoying high-quality sweets created using the techniques learned in France. Every day there are more and more local fans as well as fans that come from outside Hokkaido such as Tokyo. Their store is located on the basement floor of a commercial building which is close to JR Asahikawa station, and access is outstanding. You can drop in on foot from the Shopping Park. The atmosphere of the interior is spacious and calming. 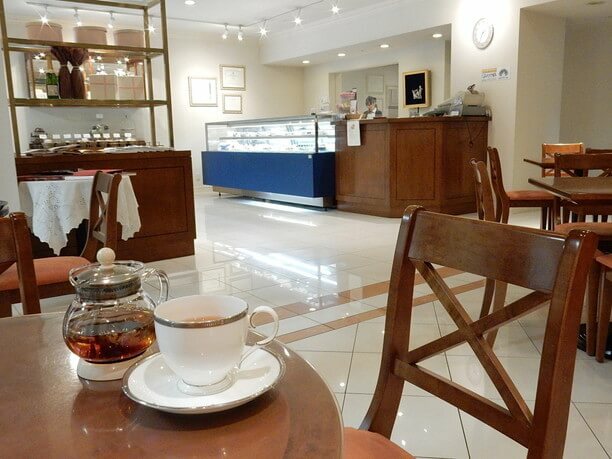 There is also a cafe, where you can enjoy the baked goods, candies, and teas. 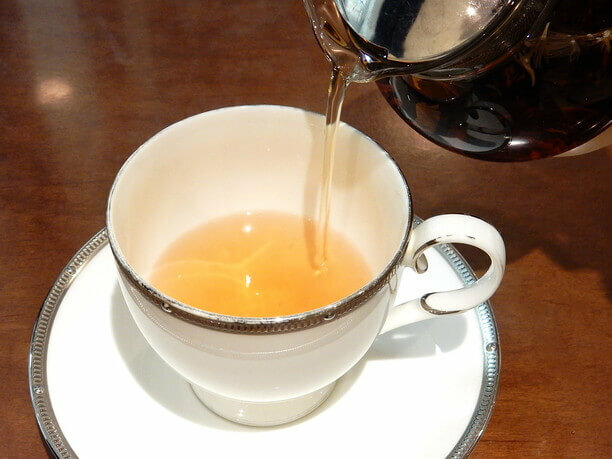 They have a nice selection of fine teas at the cafe, so it's a pleasant shop for tea-lovers. Tea leaves can also be purchased in the store. Their cake is delicious, but I also recommend trying some of the other baked confectionery they offer. With their crispness, flavorful aroma, and gentle sweetness, it is tough not to eat too much! 10:30 am to 7:00 p.m.